Last month, we introduced Age-Friendly Cleveland. With many episodes to come, we want to make sure you don’t miss out! Check and see what has been released so far! 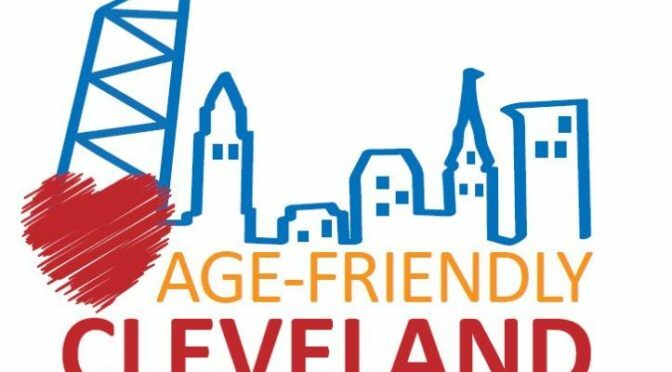 Host Enrique Correa sits down with Director of Aging, Mary McNamara, and discusses just what it means to be an “age-friendly” city, and what Cleveland is doing to maintain and improve on that distinction. Host Enrique Correa talks with Beth Glas, the Executive Vice President of Maximum Accessible Housing of Ohio (MAHO), to discuss what makes a home accessible and some of the ways you can improve the accessibility of your home. Host Enrique Correa sits down with Janice Dzigiel, Executive Director of the Senior Transportation Connection, and discussed the free transportation service they offer to the older adults of Cleveland, it’s history, and how they make a difference in older adults lives. Host Enrique Correa sits down with Executive Officer of Cuyahoga County Senior and Adult Services, Marlene Robinson-Statler, to discuss some of the programs her department provides, such as Adult Protective Services, Home Support Services, and Options for Independent Living. Host Enrique Correa Sits down with the President and CEO of the Better Business Bureau (BBB) of Greater Cleveland, Sue McConnell, to discuss their practices for rating businesses, anti-scam services they provide, and how older adults can benefit from their services. Host Enrique Correa sits down with Nicole Cook and Tiffany Scruggs from the Greater Cleveland Food Bank to discuss both food and non-food related services they provide, along with an example of the kind of meal one might receive from the Food Bank. Host Enrique Correa sits down with Melanie Hogan, Executive Director of LEAP, to discuss the history of LEAP & the disability services they provide. Contact information for the organizations is provided within their respective video. Make sure to subscribe to our Youtube channel to receive updates on when new episodes of your favorite TV20 programming go live.